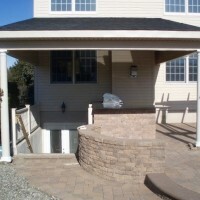 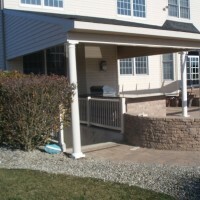 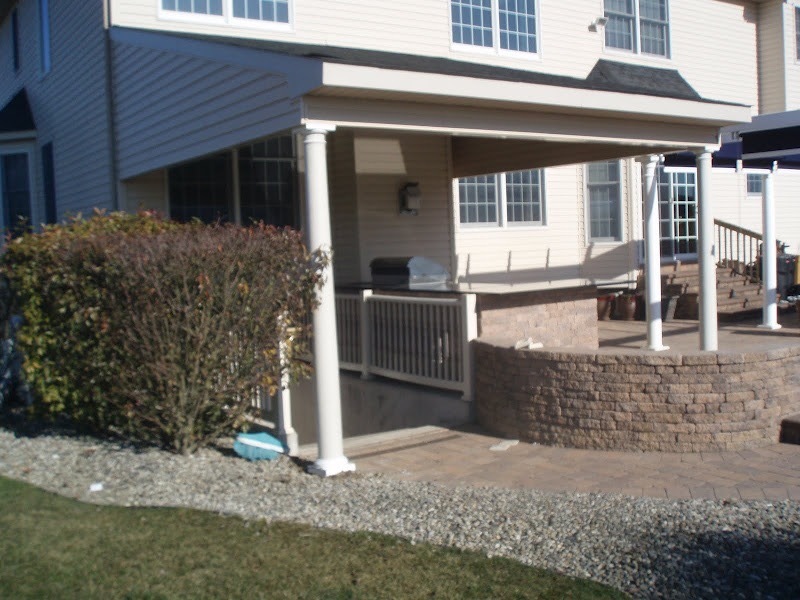 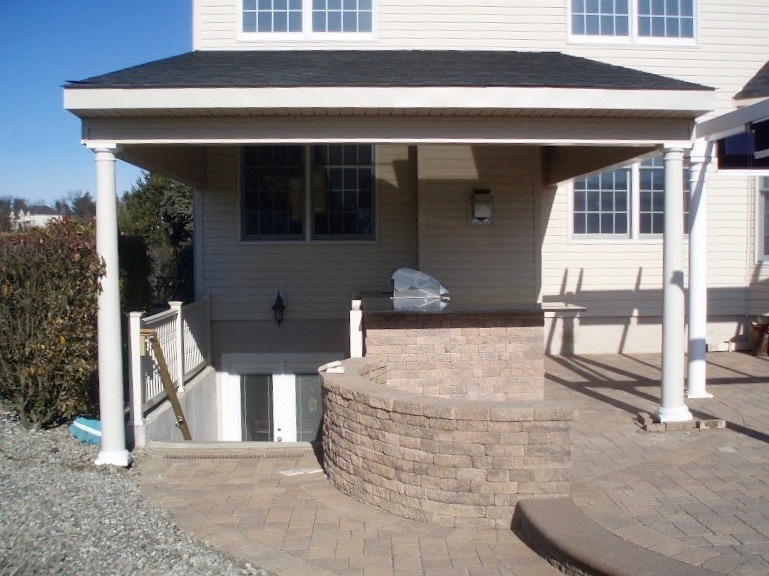 This project is designed to entertain and to shed the water off of the basement entry staircase at the same time. 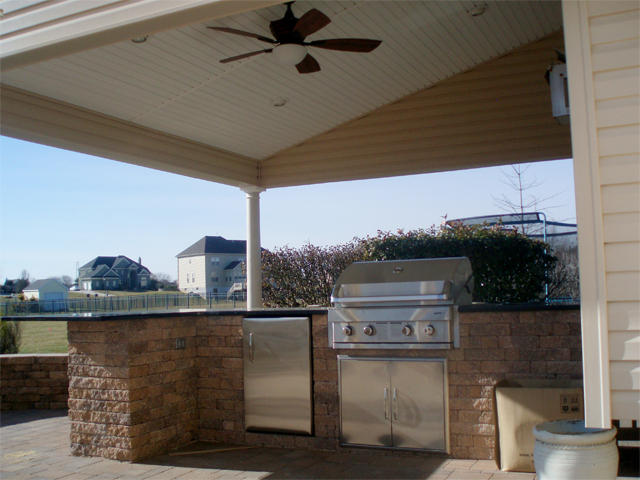 It included a 24’x16′ porch with a vaulted ceiling, recessed lighting and ceiling fan. 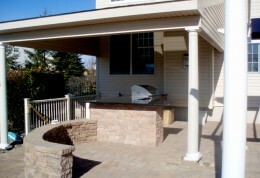 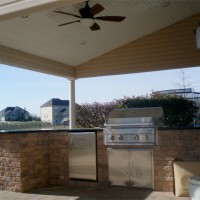 It also has pavers around the pool, paver siting wall, built in grill with a seating area, and granite tops. 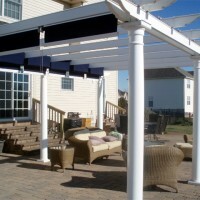 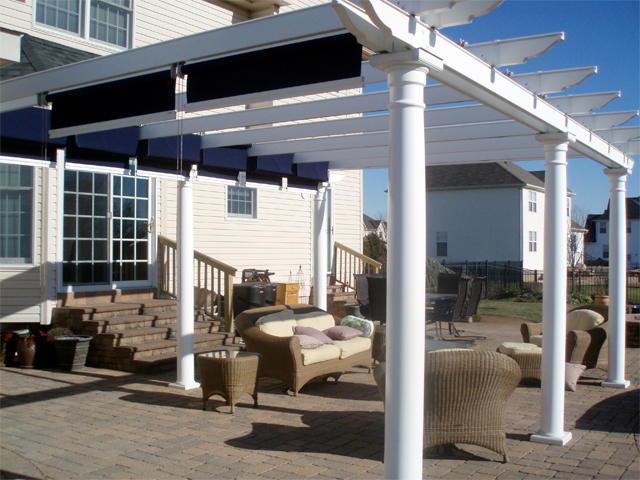 Also a white PVC pergola with retractable shades for lounging at the pool.